Vision blinds are modern roller blinds that create a stunning effect as the front and back fabrics glide together. Also known as day and night blinds, they are becoming increasingly popular because of their style and cutting-edge design. This style looks fantastic in a variety of spaces while acting as a horizontal translucent sun screen to filter the level of light in your home. They are a perfect addition to any room and are available in an assortment of designs and fabrics to suit your style and budget. 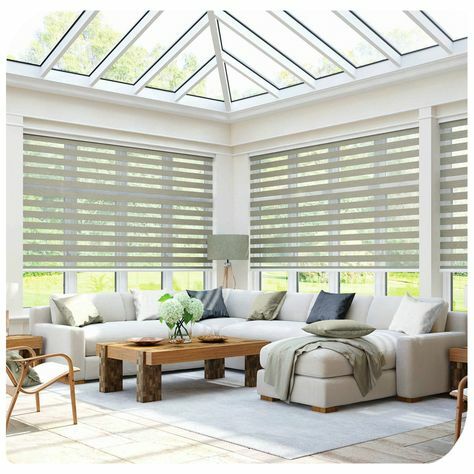 DC Shutters Inc offers a range of shades, shutters and vision blinds, with extensive experience working with vision blinds from design to installation. We understand the daily struggle of our clients and that is why we take pride in catering to your needs. Our experts are up-to-date on the latest trends and can help you make an informed decision when decorating your home. 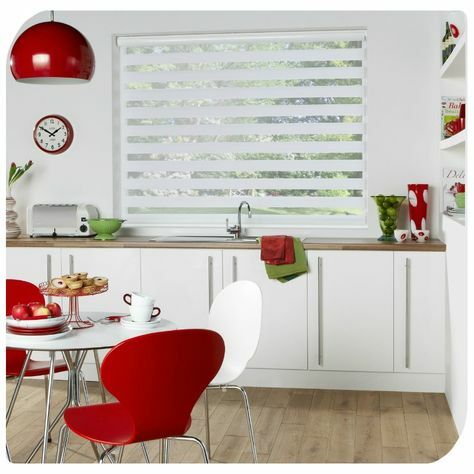 Vision Blinds are called Day and Night blinds, also get the name ‘Twist Vision blinds because of how they operate. The two separate materials slide past each other simply at the twist of a cord. Vision Blinds are unique because they have two layers of fabric; one layer is transparent and the other is a block colour. The whole point of these differing fabrics is to allow for easy day and night usage. The transparent layer is regarded as the ‘day blind’ and the block colour the ‘night blind’. However, these can be altered to accomplish a range of lighting solutions. Whatever the weather you can shift the blinds for complete, none or partial transparency. Day and Night blinds are revolutionary because they are the only style of blinds that feature transparent and opaque horizontal panels. This new technology allows all homeowners to find the right level of privacy and light that suits them best. 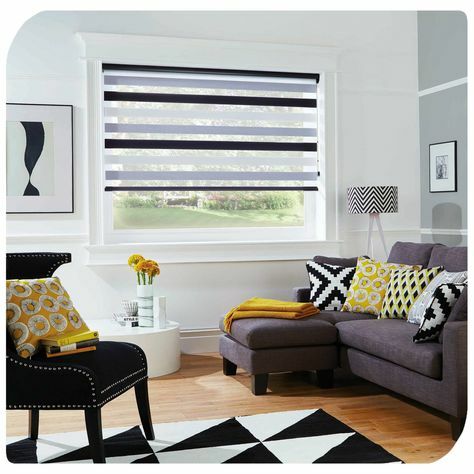 DC Shutters offers window blinds, shades and shutters in Toronto, Oshawa, and Whitby, ON. Blinds can be dangerous and pose a hazard in your home if not installed properly. However, vision blinds offer smart technology that comes with a fixed and secure chain that cannot be used for anything besides altering the blinds. This eliminates the risk of pets or children getting entangled in the chords. You can use vision blinds throughout your entire home. This means that you don’t have to go through the hassle and confusion of deciding between the different window treatments available in the market. You will have an array of choices that will let you control how to light up your favourite space. Contact DC Shutters for Vision Blinds in Brampton, Toronto, Oshawa, Whitby, Oakville, Kitchener, Waterloo, Hamilton, Niagara, Toronto, Richmond Hill, Aurora, Newmarket, Ajax ON.